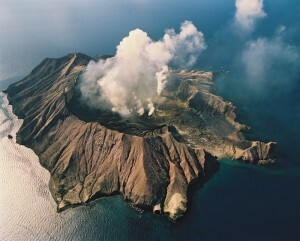 Our off-shore active volcano. A spectacular visit. We can organise it all for you to ensure you don’t miss out. Whakatane boasts one of the best fishing grounds in NZ. We are happy to arrange a trip or a charter for you. Enjoy over 80km of fantastic local scenery with cycle trails ranging through easy, intermediate and advanced grades. 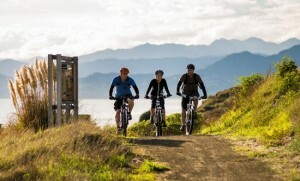 Bike hire and shuttle bus transfers to the popular Motu Trails for over 100km of trails. We can organise this for you. There are many fantastic diving spots in the area – the most noteable being White Island or the Seafire Wreck. Again we can organise it for you. Take a tour out to this Department of Conservation reserve. We can book this for you. We can book a flight for you over White Island, or flying along the coast or even out to Ruapehu as well. Thermal hotpools are a great way to spend the day. BBQ’s and picnic area’s as well. Enjoy a short walk to the falls or a longer walk beside the river which disappears! Spectacular scenery. Whakatane has a variety of other walking tracks, varying from a gentle walk beside the river into town or longer, steeper climbs. Maps available. We can book you on a guided walk where your guide will tour historical and cultural sites. This is a fantastic 11km of white sand! Whether swimming, surfing, snorkelling, boogie boarding, or sand castle building there’s plenty of room for everyone to have fun. We can organise this for you. Everything is supplied. We can book a tour for you, or direct you to the kayak hire. There is a minimum age of 10 – 13 depending on the grade of the rapids. We can organise this for you. Bring your gear, we’ll show you the spots. Open from Labour weekend in October until February. A really sweet treat. Visit the chocolate factory and indulge yourself!! Wonderful gifts too. We have a current list of what is screening at the Whakatane Cinema. We can fill you in on whether there is a production on during your visit, or what is up and coming. We can point you in the right direction for the studios, galleries and cultural tours in Whakatane and surrounding districts. Choose from one of the 6 golf courses in the area. We can ring up and enquire about tee times, up-coming tournaments, and green fees. Enjoy the adrenaline rush of the high or low ropes course, the army style assault course, or paintball. 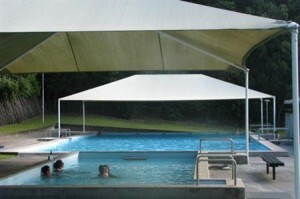 In addition to this Whakatane has many playgrounds, sports grounds and reserves. Just ask us.